Saturday OCT 25th – NWA MID SOUTH UNIFIED CHAMP Bull Bronson returns! & MORE! 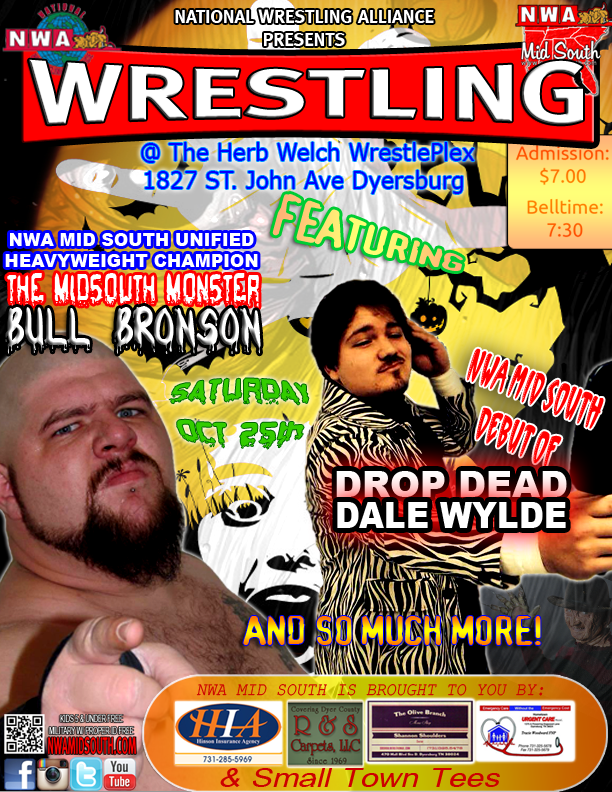 Home / NWA MIDSOUTH / Saturday OCT 25th – NWA MID SOUTH UNIFIED CHAMP Bull Bronson returns! & MORE! DROP DEAD Dale Wylde makes his NWA MID SOUTH debut and much more!